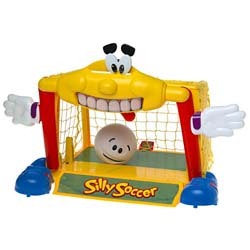 Challenge the electronic, talking, goofy goalie. Score the most goals to win. No reading required to play.